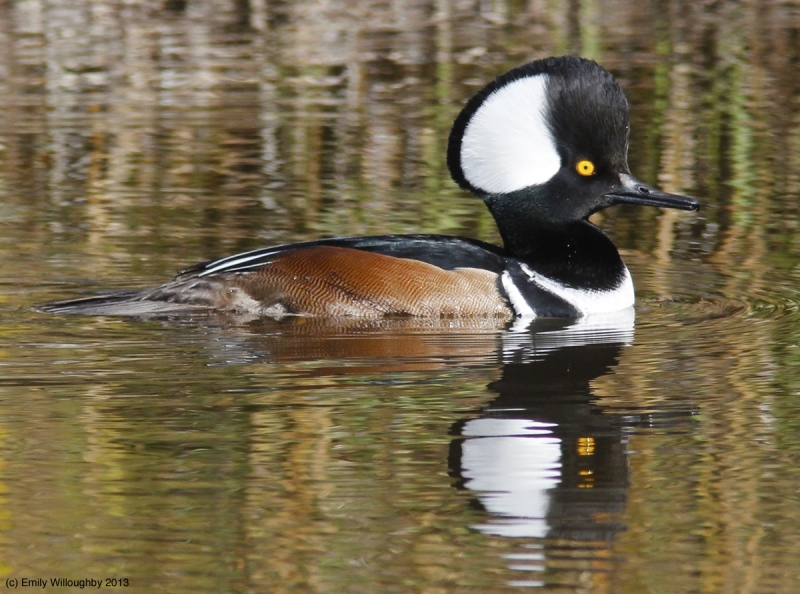 This hooded merganser male, Lophodytes cucullatus, was kind enough to provide me with a much closer view of his handsome self than this species of duck ever has before. He was spotted at St. Joseph's State Park at the very tip of Cape San Blas, FL. 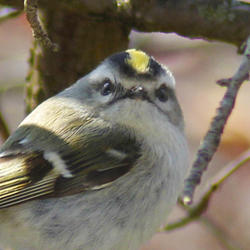 The whole area is extraordinary for birds in the winter months. 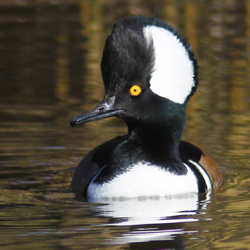 The hooded merganser, like all mergansers, is a highly predatory sawbill duck that pursues its prey underwater in a similar style to unrelated grebes and loons.